They don’t make rims like they used to! Well, that’s not quite true. 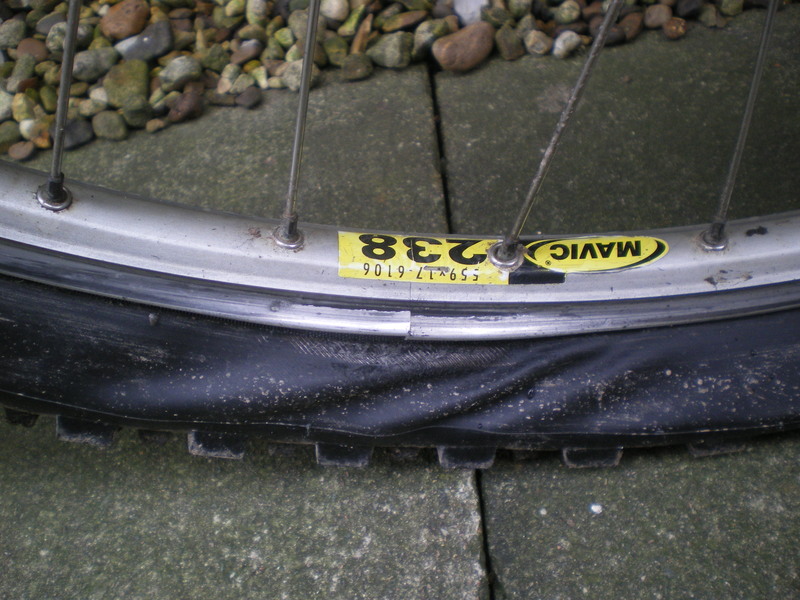 This rim lasted 17 years of heavy braking usage on an off-road bike – until last Thursday. 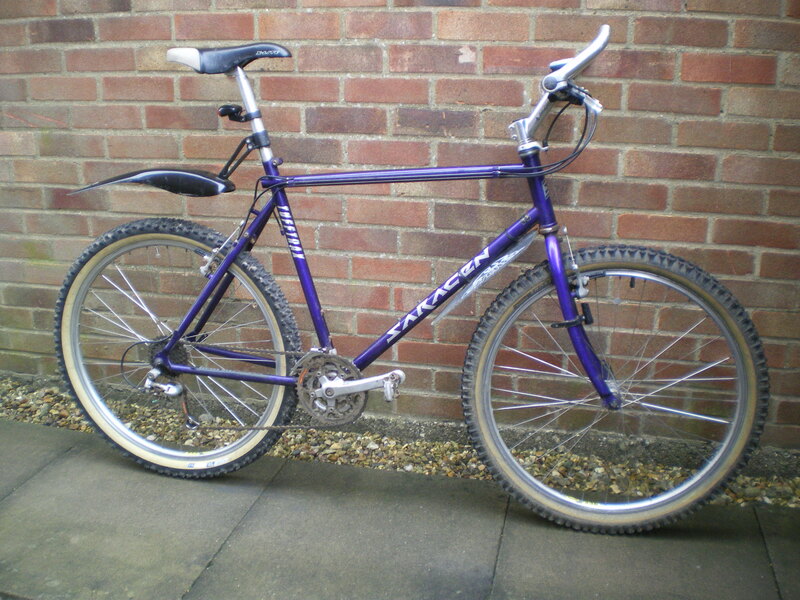 First the bike: I bought this Saracen Tufftrax in 1995. Not quite their top-of-the-range model but quite close to state-of-the-art! No, they didn’t have suspension systems as regular then. And I still feel it’s one more thing to go wrong. This bike has been all over the Peak District, the Lake District, Exmoor and the Brecon Beacons. Then, last Thursday, descending to the Brampton Valley Way quite near my house, I put the brakes on and, afterwards, the bike didn’t seem to want to move. Interesting! I understand now that one isn’t supposed to let rims achieve a concave profile! I pushed the bike home and only then did air slowly escape from the tyre. The lovely people at Pitsford Cycles (I used to teach the young mechanic) put me right!